With the major holiday rush coming to an end, it is now the time to finally stick with those seemingly impossible New Year’s resolutions, right? Wrong. 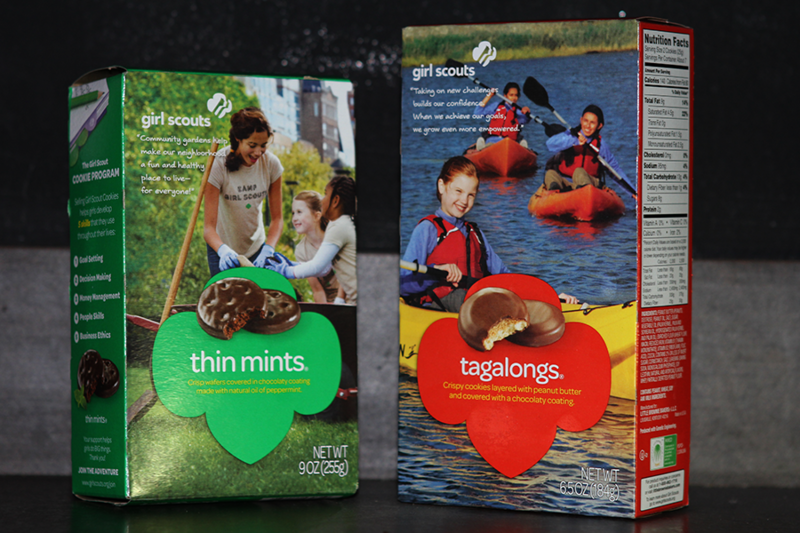 You might not want to hit the gym just yet, not without consuming at least a box of your favorite Girl Scout cookies. Yes cookie season is upon us, sold by sweet-talking eight year olds in their green Girl Scout vests. Although prices have gone up, neither my stomach, nor my wallet can resist. While many will reach for Thin Mints or Samoas, I find it important to rush and defend the beloved Tagalong. Raised in a house where Thin Mints and Samoas prevail, I’ve always found the amazing chocolate and peanut butter combo more my speed. With its crispy cookie layer, a fluffy cookie layer, a peanut butter layer, all covered in chocolate, Tagalongs resemble a sweet cookie version of a Reese’s Peanut Butter Cup. Girl Scout cookie season is undoubtedly the best part of the New Year; it’s an American staple. Currently, there are 12 different cookies available across the country. Out of all the cookies, Thin Mints are the best Girl Scout cookies on the market. I’m not going to deny the amazingness of all the other cookies, but Thin Mints are unlike the other options. Thin Mints are refreshing, as they are lighter than the other options. This helps reduce my guilt when I eat an entire sleeve in one day. The versatility of Thin Mints makes them even more enjoyable. You can freeze them, blend them in milkshakes, crush them up for a cookie dusting on cakes, or drop a couple in hot chocolate for a minty-treat. If you haven’t tired Thin Mints with hot chocolate, make sure to before the selling season ends. Even though the price of Girl Scout cookies has risen, none of the Thin Mint knock-off cookies have the same test. If you can only bring yourself to buy a single box this season, choose the classic Thin Mints because you will be happy. None of the other cookies compare.